Earlier this month Facebook accidentally pushed it’s latest app, Slingshot live in Malaysia. Well it’s back and this time the ephemeral messaging app with a focus on trading photos and videos is here to stay. For reals this time. Slingshot, the new iOS and Android app from the Facebook Creative Labs puts a new twist on ephemeral photo and video sharing. In order to see a photo or video sent to you by a friend, you have to reply with a photo or video. The photos or videos sent can have text added either right over the image or as a caption. Plus, you can draw on the images. Select draw and the color can be selected along the vertical axis of the screen while the line width can be selected along the horizontal axis. By sliding your finger along the screen both are selected at once. It’s a nice touch and much slicker than most color and pen width selectors in other apps. The app was born during a Creative Labs hackathon in December. And while it borrows features from other well known apps like Vine (videos loop), Instagram (the videos can be up to 15 seconds long), and disappearing images like Snapchat, it presents them in a fun package. But the app is cannonballing into a crowded pool of messaging services. Being a Facebook product doesn’t offer any real advantage. The social network’s Snapchat clone, Poke was pulled from the app store in May along with Facebook’s Camera app. Ruben says that the app was built “purely out of excitement about the idea.” Facebook is hoping that excitement carries over to user engagement. 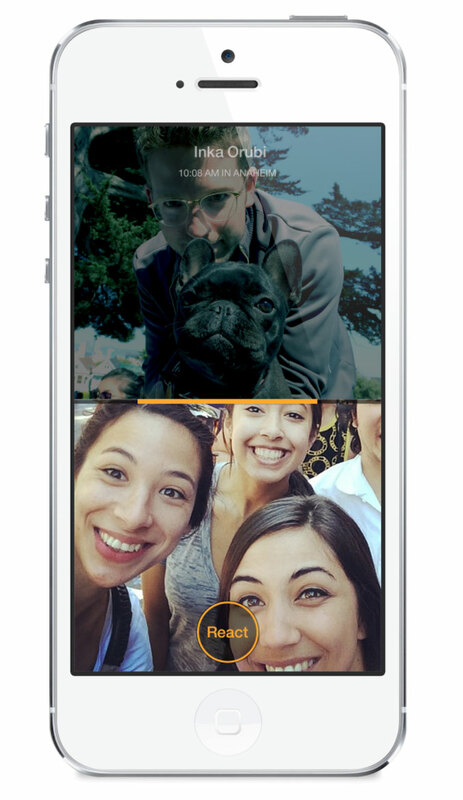 Will Facebook’s new Snapchat-like messaging app Slingshot be a hit?